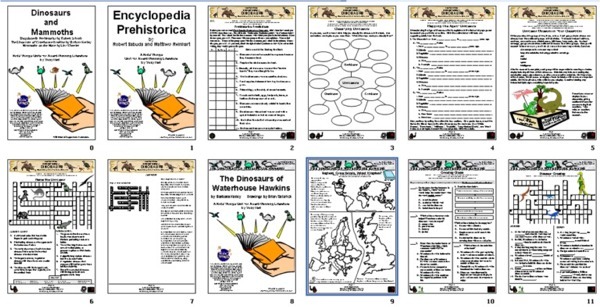 You can purchase the complete Kids' Wings 23-page combined unit for Encyclopedia Prehistorica: Dinosaurs along with The Dinosaurs of Waterhouse Hawkins and Mammoths on the Move NOW for immediate download for only $7.95! Click Here. Can we see one in the zoo? The clever poetry in Mammoths on the Move will march... stomp... tromp...crash...and clash you into prehistoric times with these enormous ancestors of today's elephants. Complimented by mammoth illustrations, you will feel these "massive, hairy, legendary" creatures trample, lumber, tremble and thunder into your hearts! 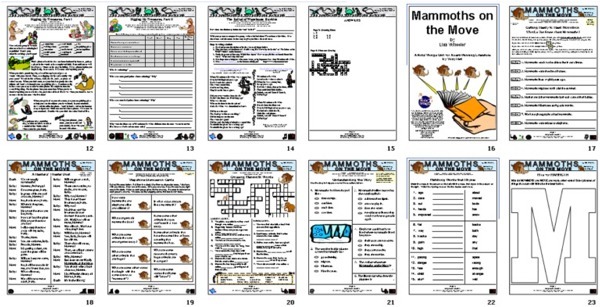 A 6-page unit for Mammoths on the Move by Lisa Wheeler is a part of a collection of 40 units in Stepstone Stories . A special thanks to the talented Curtis Schweitzer for allowing us to use his presentation of Joahnn Pachelvel's "Shaker Melody with Canon" as our background music! Licensed under a Creative Commons noncommerical license.